Custom engineered and manufactured exclusively by Fabricated Components, Fin-Tek Powder Coating and Finishing Systems deliver high performance, conveyor-based powder coating solutions to meet your most demanding needs. Powder coating is the environmentally-friendly alternative to wet painting and to help keep utility costs to a minimum, our high-efficiency systems operate on natural gas or propane. 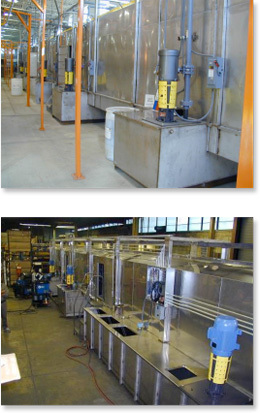 Whether your process requires curing, drying, aging or tempering, Finish Technologies has a system for you. Learn more by calling 1-800-233-8163.